Last Saturday was International Women’s Day, a day set aside to recognize the political, social and economic progress that women have achieved globally while also bringing awareness to the issues women continue to face. More than 200 events were held across the United States alone to mark the day. It was a chance to reflect on the significant strides women across the globe have made in entrepreneurship in recent years, as well as the challenges they still face. First, let’s consider some statistics. There are 126 million women running new businesses worldwide and another 98 million running established businesses, according to the Global Entrepreneurship Monitor (GEM) 2012 Women’s Report. While the numbers of women-owned businesses has risen significantly in recent years, however, there’s much improvement that still needs to be made. Only in seven countries, including Panama and Thailand, do female entrepreneurs match the numbers of male entrepreneurs. In countries like Pakistan, you’re hard-pressed to find hardly any women entrepreneurs. In the United States, the numbers are surprisingly bleak. Yes, women own about 30 percent of all businesses. Yet, those businesses aren’t generally the high-growth ones that employ people. Women-owned businesses employ only 6 percent of the U.S. workforce and account for just 4 percent of revenues. What can be done to help women entrepreneurs grow their operations? 1. Better access to capital. There’s still much inequality in terms of providing women the loans and other financing they need to start and grow businesses. “When it comes to finance, women face particular hurdles, from a lack of collateral to discriminatory regulations and ingrained gender bias,” writes Tory Burch, chief executive of women’s fashion company Tory Burch, in The Economist recently. “Small loans can make a big difference.” In one piece of good news, the World Bank’s International Finance Corporation announced a plan Thursday to launch a $600 million financing program that will help banks in emerging countries offer credit lines to women who want to start businesses. 2. More mentorship opportunities. Providing role models and guidance to women to show the economic, social and lifestyle benefits of business ownership could greatly enhance entrepreneurship rates. “Financial support, while crucial, is only one part of the equation,” writes Suzi Dafnis, chief executive of the Australian Businesswomen’s Network. “Having access to the advice and guidance of business mentors is invaluable for those women who are just starting out. 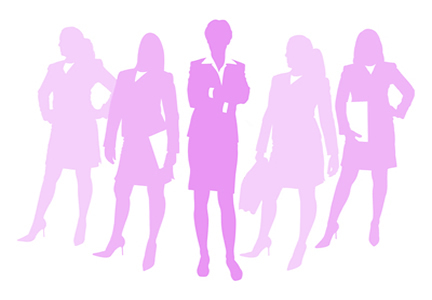 During this time the uncertainties of owning a business can cripple one’s resolve and a mentor can help to pull them though this difficult time.” Movements like Sheryl Sandberg’s Lean In are helping raise awareness of the need for women to support each other. But far more can be done on an international level to help women entrepreneurs connect and share stories. 3. More education. Research shows that women fear failure and have lower confidence levels than men. “What we might be seeing is that women need to work on their confidence and their perceived abilities,” said Babson College professor Donna J. Kelley in a 2012 interview with Reuters. “Look at the role models we see: Bill Gates, Mark Zuckerberg, Steve Jobs, Richard Branson—they’re all male. Entrepreneurship has to feel accessible to women.” More training and education programs geared to women could help build confidence and reduce the fears that starting a business is a high-risk endeavor. ← What Happens When 3D Printing Turns Consumer Products Into Digital Content?